September 1, 2018 Texas Rangers activated CF Delino DeShields from the 10-day injured list. August 28, 2018 Texas Rangers sent CF Delino DeShields on a rehab assignment to Frisco RoughRiders. August 17, 2018 Texas Rangers placed CF Delino DeShields on the 10-day disabled list. Right middle finger fracture. August 12, 2018 Texas Rangers activated CF Delino DeShields from the 7-day disabled list. August 4, 2018 Texas Rangers placed CF Delino DeShields on the 7-day disabled list. Concussion. July 28, 2018 Texas Rangers recalled CF Delino DeShields from Round Rock Express. July 24, 2018 Texas Rangers optioned CF Delino DeShields to Round Rock Express. April 22, 2018 Delino DeShields roster status changed by Texas Rangers. April 19, 2018 Texas Rangers sent OF Delino DeShields on a rehab assignment to Frisco RoughRiders. March 31, 2018 Texas Rangers placed LF Delino DeShields on the 10-day disabled list. Fractured hamate bone in left hand. November 4, 2016 Yaquis de Obregon placed OF Delino DeShields on the reserve list. October 29, 2016 Yaquis de Obregon activated OF Delino DeShields. October 29, 2016 Yaquis de Obregon placed OF Delino DeShields on the reserve list. October 22, 2016 OF Delino DeShields assigned to Yaquis de Obregon. October 11, 2016 Texas Rangers activated LF Delino DeShields. October 6, 2016 Texas Rangers reassigned CF Delino DeShields to the minor leagues. July 20, 2016 Texas Rangers recalled CF Delino DeShields from Round Rock Express. May 13, 2016 Texas Rangers optioned CF Delino DeShields to Round Rock Express. July 5, 2015 Texas Rangers activated LF Delino DeShields from the 15-day disabled list. June 27, 2015 Texas Rangers sent LF Delino DeShields on a rehab assignment to Round Rock Express. December 11, 2014 Texas Rangers drafted LF Delino DeShields. October 30, 2014 OF Delino DeShields assigned to Cangrejeros de Santurce. May 8, 2014 Corpus Christi Hooks activated CF Delino DeShields from the 7-day disabled list. April 19, 2014 Corpus Christi Hooks placed OF Delino DeShields on the 7-day disabled list. April 2, 2014 OF Delino DeShields assigned to Corpus Christi Hooks from Lancaster JetHawks. 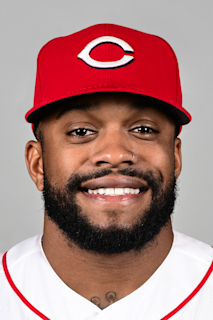 January 14, 2014 Houston Astros invited non-roster CF Delino DeShields to spring training. August 27, 2013 CF Delino DeShields assigned to Peoria Javelinas. May 12, 2013 Lancaster JetHawks activated 2B Delino DeShields from the 7-day disabled list. May 6, 2013 Lancaster JetHawks placed 2B Delino DeShields on the 7-day disabled list retroactive to May 5, 2013. January 17, 2013 Houston Astros invited non-roster 2B Delino DeShields to spring training. August 10, 2012 2B Delino DeShields assigned to Lancaster JetHawks from Lexington Legends. February 6, 2012 Houston Astros invited non-roster 2B Delino DeShields to spring training. April 4, 2011 Delino DeShields assigned to Lexington Legends from Greeneville Astros. March 18, 2011 OF Delino DeShields assigned to Houston Astros. August 13, 2010 Delino DeShields assigned to Greeneville Astros from GCL Astros. August 6, 2010 Delino DeShields assigned to GCL Astros from Houston Astros. August 5, 2010 Houston Astros signed 2B Delino DeShields.